Translations of almost 79% of all extant Old English poetry can be found here (that’s 23,662 lines out of about 30,000 extant lines). and it is just as engaging, vital, and important to the classroom and scholar. In 2007, dissatisfied with commonly-available volumes of translation (mostly in prose), I set out to bring more of this staggeringly original archive to the attention of teachers of Old English texts, starting with the hagiographic romance of Andreas. 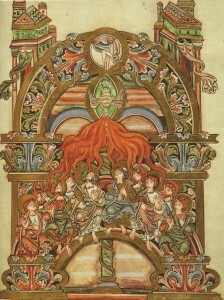 The goal was to make high-quality, imaginatively rendered, readable verse translations available for no cost to the general public, all of them designed for instructors looking to extend the texts they can present to their students, in order to flesh out the picture of Anglo-Saxon culture taught in contemporary schools, at whatever level needed. Since 2015, the ASNPP has moved beyond strictly narrative poetry, venturing into other genres of Anglo-Saxon verse, including a complete translation of the Exeter Book riddles, the poems of contemplation (often called the “Elegies”), and wisdom poetry (like the enigmatic Solomon & Saturn and The Order of the World). I enjoy translating the poetry so much that I don’t anticipate stopping until I have rendered the entire corpus, including the Metres of Boethius (which is now completed), among other rarely translated poems. In 2017, new work has slowed down, mostly because so much of what remains has already been done at least in first draft. What I’m doing these days will be mostly recorded as blog posts, found by following “News” in the menu under the title bar. Previously these have been just notices of updates. But lately I’ve been writing a lot — gearing up for some articles I need to do — but these bigger, more substantial posts record my thoughts that occur to me as I work through the revisions. They will probably be most involved with translation issues as well as justifying decisions I have made in the translations. There’s a surprising amount of argument involved with those kinds of things. One big job that I’d like to do is analyze and review extant translations of the poetry. There’s a lot out there, and it is of highly uneven quality, regardless of the credentials of the scholar doing the translating. Right now, my priorities are to start revising what’s here — it’s been my experience of writing poetry that that’s where all the exciting stuff happens. There are probably also numerous mistakes and misreadings throughout the site, which need to get combed out. This doesn’t mean abandon the site — rather it means to lend me your eyes and critical acumen. If you see something questionable, let me know in an email or comment, and we can discuss what needs to be done about it. Open-access scholarship is a two-way street — not only do you get free and easy-to-obtain work, but you also get to contribute to how the final product appears in the near future. That’s collaborative scholarship, and exactly why I am uninterested in trying to publish these translations in standard book format (Craig Williamson’s new Complete Old English Poems just released by Penn makes it unlikely that would happen anyways…). I am not too worried about credibility, though I know there is a veneer of respectability that is imparted to anything published between two covers (mostly due to the peer-review process, but also because of our liability to marketing–if it’s being sold it must be good). However, if you are an Anglo-Saxon scholar and would like to help out the future of this page, please contact me if you’d be interested in crowd-sourcing peer review. If you took on just one poem you were particularly interested in or knowledgable about, and wrote up a few pages’ response that I could use to shape the website that would be amazing. I shouldn’t have to tell you that an open-access website repository of translation has many advantages over traditionally published work, in that it can be altered and shaped by both usage and response, and when new, game-changing readings of these poems come along, the website can accommodate them. Two new big projects stretch out before me. One is to begin a Homily translation site and work my way through the massive archive of these much-desired texts wherever they might be collected. The second is even crazier, and that is to embed coding in the poems to give access to philology, variants, and criticism. The Blickling Homilies are already underway. The second part will take huge amounts of time and energy, requiring training in the markup languages, a new host for the pages (I’m not sure WordPress can handle what I want to do), and probably grant funding and graduate student hiring to get all the pieces put together. Full texts of these poems are located here. Follow the links to the individual poems on the navigation bar above. Years ago in a class I read a poem about how when the Vikings invaded England, a soldier turned his back on “the cross” (which taught peace) to fight the Vikings and yet kept the cross in his heart. I am looking for that poem right now and wondered if you could help me. You might be thinking of the “Dream of the Rood” (a rood is an old word for cross), but there is no political specificity to that poem. The dreamer is just a guy. That seems a bit more natural to me so offered for your consideration. Again, thanks for all of this; the translations are graceful but still a guide to the literal meaning of the lines of poetry. I’ve gotten much further with it than with my previous methods. Can you also include the original Anglo-Saxon? As soon as I can wok it out, the original texts are in line to be added. Something parallel text or some such. Thanks for so freely sharing your personal treasure-trove. Your narrative translations are thoughtful and compelling. This is a wonderful library! I neglected to ask what OE dictionaries/lexicons you might recommend for an independent student like me? I’m looking to make a purchase so cost and availability are considerations. For a low-cost dictionary, I’d recommend the one by J.R. Clark Hall. Also, the old warhorse Bosworth-Toller is available on an excellent website (http://www.bosworthtoller.com). Lexicon, hmm? I used the Guide to Old English by Bruce Mitchell and Fred Robinson. There’s another good one by Bob Hasenfratz, and another by Peter Baker that are highly-regarded and very modern. 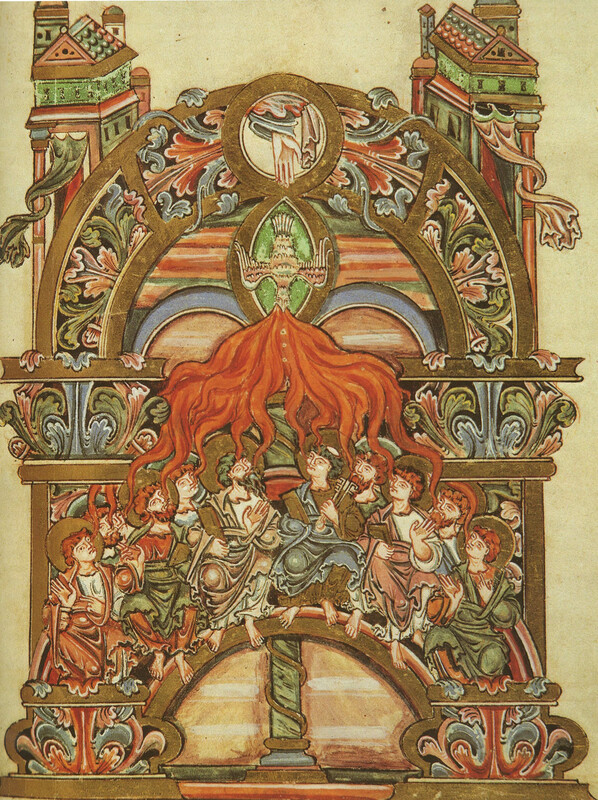 I agree that many of the Anglo-Saxon poetry translations, when rendered in prose are inadequate, but I wondered what you think of Klaeber’s Beowulf (which I learned on) and Chickering’s, which I am going to use to teach Beowulf next semester? Klaeber’s BW is an edition, and is authoritative and fairly conservative, gives the tradition of emendation very well, even if it chooses differently. A good text to work from, though you will find places where that text diverges from the one used in Chickering. Chickering is a decent attempt at literality, reads pretty well, makes his changes as he sees fit. I prefer Liuzza, and there is a dual-language version available from Broadview. Liuzza just reads better, more imaginatively, more powerfully. But you can do worse than Chickering for sure. Haven’t looked at my copy in a long time (it was what I learned with), so no real specifics. Maybe that can be a future blog post? Thank you for this work. It’s incredibly handy to have your translations open while I work my way through the OE versions of some of these poems – particularly the less-commonly-translated ones. As an independent student of the language, it’s great: a dictionary of OE in one hand, the OE version in another, and your translation open on the laptop to help me get the drift of some of the tougher passages. Beyond that, of course, the translations have something interesting to offer in themselves, and I appreciate your goals as laid out in the “translation principles” section. I look forward to your translations of the homilies, and wish you the best as you continue this ambitious and generous project! It’s my pleasure — glad you’ve found my work useful! Thank you for making these translations available to the public. I’m just a working-class stiff who fell in love with Middle English poetry (but need glosses even there) via a Chaucer course 45 years ago and more recently footnotes to Rosemary Woolf. Of course I’ve followed references further back in time and am grateful for inexpensive (even free!) translations of the OE corpus, too. Page last updated at 12:26 pm August 23, 2017 . This page was printed from anglosaxonpoetry.camden.rutgers.edu/ on Saturday, April 20, 2019.